The AAGS strives to promote innovative research and alternative perspectives on issues of international significance. 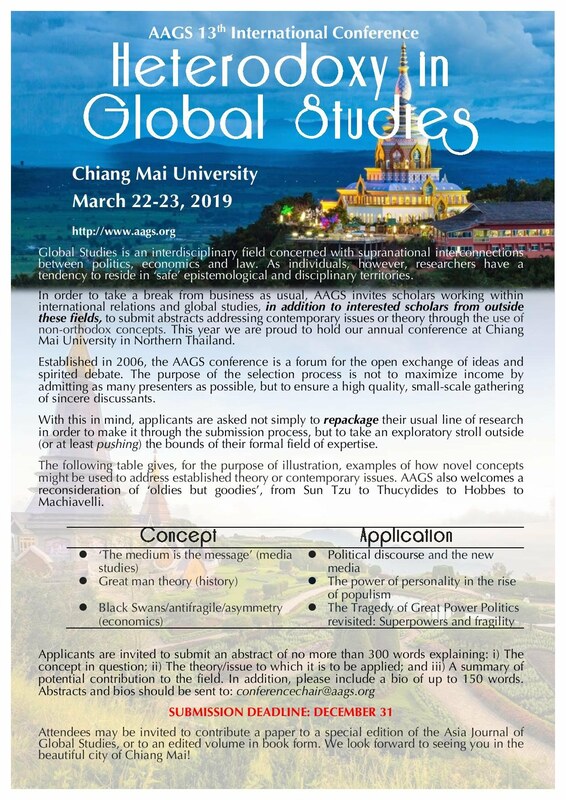 It particularly encourages cross-disciplinary and transnational theoretical approaches that dissolve traditional academic boundaries and relate local events to wider global processes. The association also functions as an open forum for the expression of regional opinions and viewpoints that might otherwise go unheard in the English-speaking world.